I spent my first 3 weeks in the Philippines trying to fix every little thing in the house. If you are frequenting this blog, then you may read in the past that I've been mentioning about the great flood that hit our city sometime last September and as a result, almost all of the entire city was submerged in water and some houses were even destroyed as water has gone up to as high as the roofs. Our subdivision is also situated in a low lying area but because our house is elevated, the flood still get into the house but not as high as what others experienced. The kids and our house helper have done everything to clean up and restore everything back in shape but I have done final touch up to ensure that everything gets organized the way it was before. I've thrown some old furniture which were damaged by the flood. I've asked someone to make custom made furniture for us to replace the old ones. I did a lot of organizing and fixing for the past weeks and I'm pleased that everything is getting better now. Inspecting my personal stuff, I was saddened by the fact that most of my treasured handbags and wallets which were all bought by hubby were likewise damaged. In as much as I don't want to, I need to replace some as I badly needed these for my personal use. 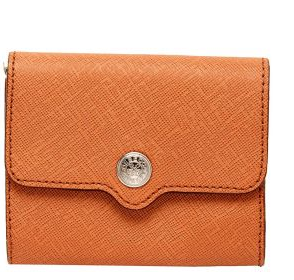 Good to know that there are some lovely handbags and wallets available at Zalora. 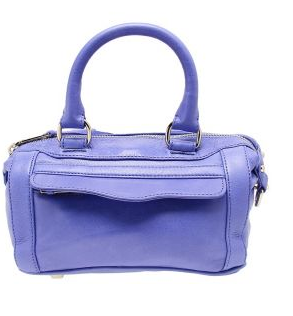 I browsed through their site and discovered some great designs from Rebecca Minkoff collection. Well, this brand maybe a little bit pricey for some, but I can vouch for the quality of these products as I happened to own one bag from their line before. I might look for some gift items as well to complete my shopping list. I need to prepare my Christmas shopping list soon and I am looking forward to get at least one nice bag and wallet from Rebecca Minkoff line to replace the worn out ones. I hope hubby would understand that I've lost my personal handbags and wallets which he gifted to me due to the flood and that this happened beyond my control. Christmas is the most expensive season of the year but for me, it is the happiest ever.